During labor it may seem as if you wouldn’t want to be sitting on something that’s as roly poly as you are, but birth balls are a favorite tool for those who teach and promote natural relief during labor and delivery. Birth balls are so versatile they can even be used during pregnancy to prepare for the demands of childbirth and post-partum as support for a sore body. Birth balls are increasingly becoming a fixture in hospitals, birth centers and home births. They allow the mother to have the freedom to shift her weight and support her pelvic region for greater comfort during labor. They also facilitate fetal descent in cases where labor may not otherwise be progressing. In an age when the old ideas of what a woman should be doing during labor are being replaced with ideas of care and comfort, the birth ball is an important accessory for any expectant mother. Birth balls are one of the best tools for facilitating this upright position, according to Connie Livingston, a registered nurse, Lamaze-certified childbirth educator, doula and administrator of BirthSource.com, a site devoted to prenatal education. “There’s a lot of research right now on the importance of upright positioning during labor,” says Livingston. “Staying in the upright position allows gravity to help with the birth and improves effacing and dilating. 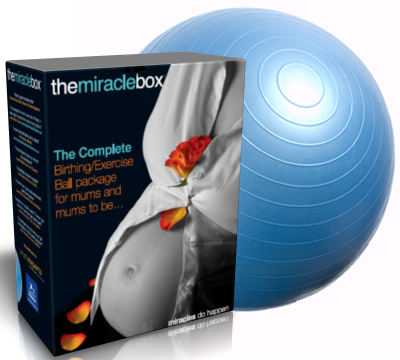 The beauty of the birth ball is that it can also support a woman if she wants to try different positions.